With light airy wedding store like this nothing will divert the user from your wedding products. 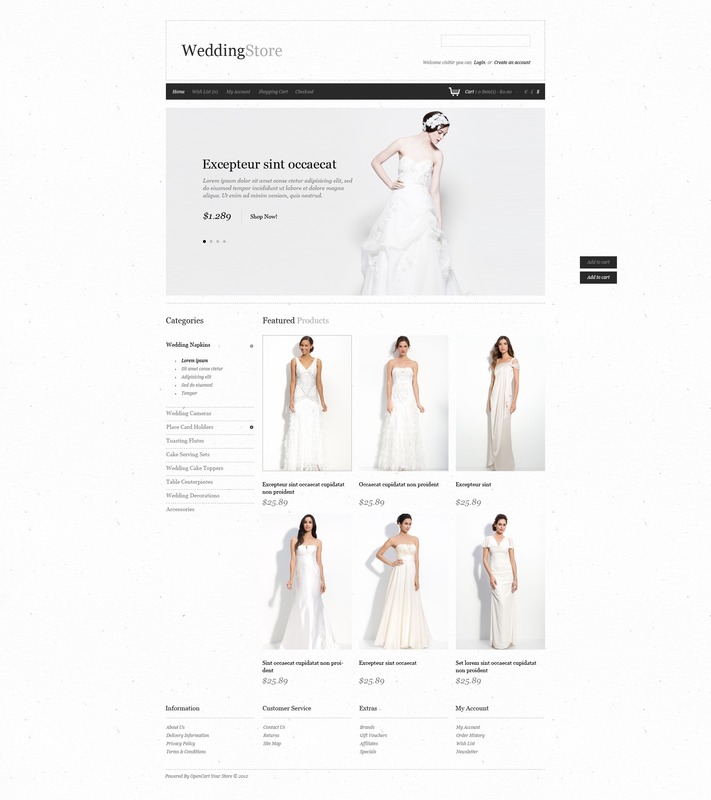 Slider and Featured products sections show beautiful smiling brides in extraordinary dresses. The customers can shop by categories, which is very convenient when you need to buy the enormous quantity of items necessary for the ceremony. The theme is intended for wedding, holiday, entertainment, gifts, and flowers stores.